Alfa Romeo ALFA ROMEO SUD/SPRINT WHEEL BRAKE CYL. OE. 60749889 REAR WHEEL BRAKE CYL. OE. 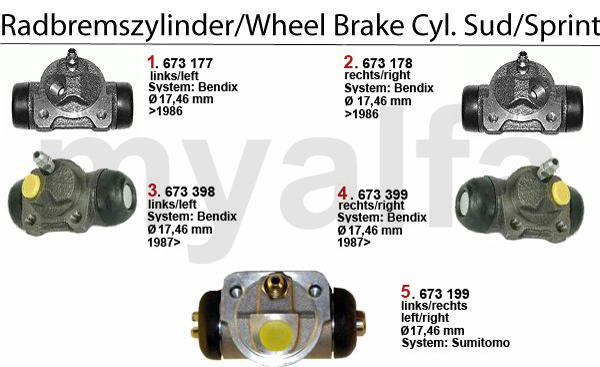 60747181 WHEEL BRAKE CYL.